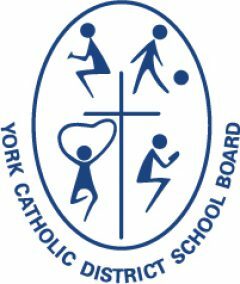 The York Catholic District School Board is committed to reflect the principles of equity and inclusive education, consistent with our Catholic social teachings that value and promotes human rights and social justice, in all Board policies, programs, guidelines, operations, practices and Board improvement plans. A policy is a statement or purpose adopted by the Board that governs the framework for a course of action. It is a commitment by which the Board is held accountable to the public. Section B – This section includes the guidelines that outline the course of action to implement and support the policy. Not all policies require a guideline component. Departments responsible for implementing policy may also have department specific procedures. The York Catholic District School Board website lists Board policies in alphabetical order for easy access. The same policy may be found under one or more different names or titles in order to assist those browsing the web-site. Currently, all policies are being reviewed and updated. A procedure provides direction for responding to specific situations where an accompanying Board policy is not required. Procedures establish an expectation of how an issue is to be addressed in order to ensure common understanding and practice.